Jessica Alice is a Melbourne-based writer, editor and community radio broadcaster. She presents and produces Spoken Word and Women on the Line for 3CR 855AM, and co-hosts the feminist podcast Wham Bam Thank You Ma’am. Jessica edits poetry for Voiceworks literary journal, and is the Online Editorial Assistant for Kill Your Darlings. 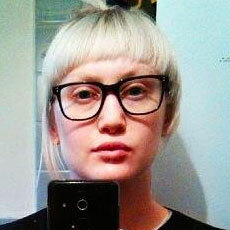 She is also the Poetry Programming Coordinator for the 2013 St Kilda Stripfest. Her poetry, critique and the odd essay can be found in Cordite Poetry Review, The Victorian Writer, Scum, Lip, We Matter Media, Melbourne Poetry Map, Spook, and more.